Snow and ice are expected in some parts of the New York region on Monday night, including portions of northeast New Jersey and the Lower Hudson Valley in New York. 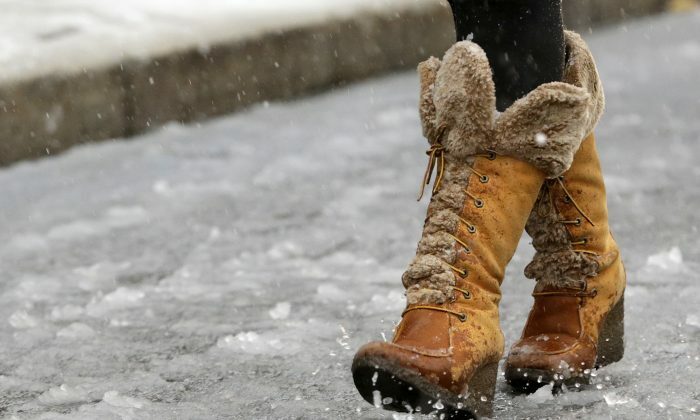 The wintry mix will cause slippery roads and sidewalks in those two places as well as southern Connecticut. Orange, Putnam, Westchester, Rockland, Bergen, Passaic, Sussex, Warren, Fairfield, New Haven, Middlesex, and Northern New London Counties are forecast to get up to one inch of snow and some ice, according to the National Weather Service. But the snow is expected to quickly turn into rain, although there’s a chance that temperatures stay low enough for the precipitation to be snow for a longer time on Monday night. Meteorologist Mike Rizzo noted that the winter weather will come via a cold front. “There will be a prolonged period of sleet and light freezing rain across interior portions of the tri-state into Tuesday morning,” the service said. The Winter Weather Advisory does not include New York City or Newark. Alyssa Caroprese, a meteorologist for WRGB, noted that some regions of New York and the other northern states will see even more snow, up to six inches. “Snow will begin around 10pm tonight, overspreading the whole region through early Tuesday morning. It will then switch over to sleet and freezing rain through the Tuesday morning commute,” she said. “Snow amounts looks to be a coating to about an 1″ for areas south of Albany. For the central and northern Berkshires through the Capital Region 1″-3″ …the Mohawk Valley, Adirondacks, Lake George-Saratoga region and southern Vermont, expect 3″-6”. A glazing of ice is likely on top of the snow as it transitions to sleet and freezing rain between roughly 3am-5am.